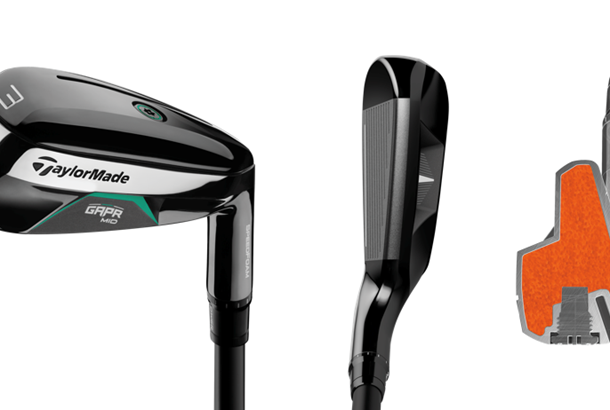 Born out of the idea that every golfer has a gapping problem in the longer part of their set, TaylorMade came up with GAPR to help players bridge that specific gap between their longest playable iron and shortest metalwood. TaylorMade noticed that a large majority of players aren't comfortable hitting their 3, 4 and even 5 irons consistently to precise yardages or with any dependable accuracy, while finding their 5, 7 and 9 woods often difficult to control - leaving them with clubs that have very little use being in the bag. 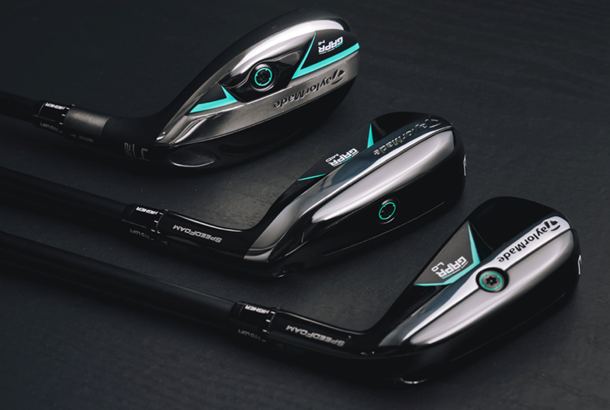 A second trend they noticed was that many players have hybrids in the bag, but before GAPR there seemed to be few compelling options for golfers to upgrade those existing hybrids unless they purchase them as part of an iron set. And on Tour, the number of wood-style hybrids has steadily declined as players are starting to adopt iron-style utility clubs and driving irons for better control and workability. As a response to this, TaylorMade set out to engineer products that allow golfers to get the distance, carry and control needed to fill these gaps - and the result was GAPR. 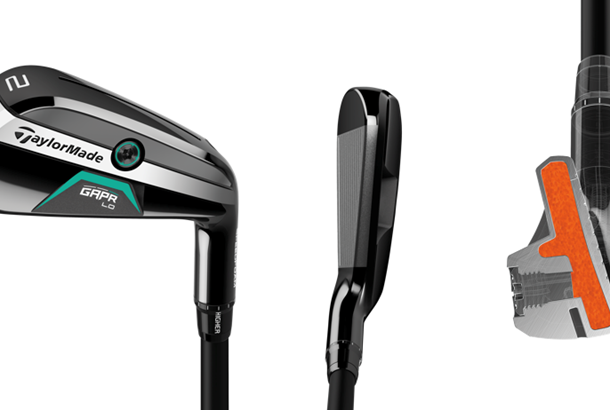 GAPR are three distinct products which invite golfers to choose their shape, find their distance and bridge their gap by selecting either the Hi, Mid or Lo versions - or a variety of the three. 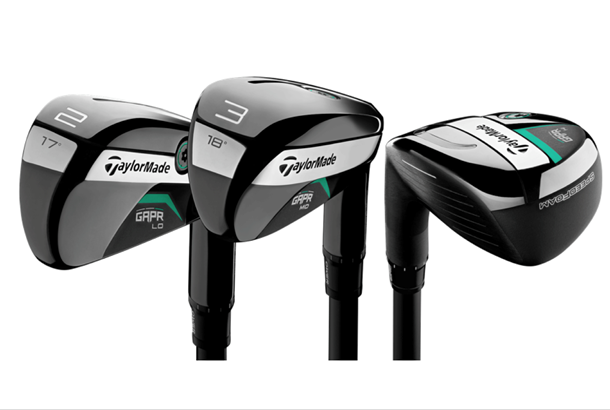 In each of the 3 different GAPR models, engineers have incorporated TaylorMade's innovative SpeedFoam technology, which was first introduced in the globally-successful P790 irons last autumn. SpeedFoam serves the dual purpose of generating ball speed while also dampening vibrations to create optimal sound and feel. SpeedFoam is injected into the club head in liquid form before expanding within the club, providing increased face support while maintaining the soft, solid sound and feel that golfers prefer. Additionally, strategically-placed ultra-low center of gravity in each GAPR model creates a hotter, higher launch for more distance and improved playability. 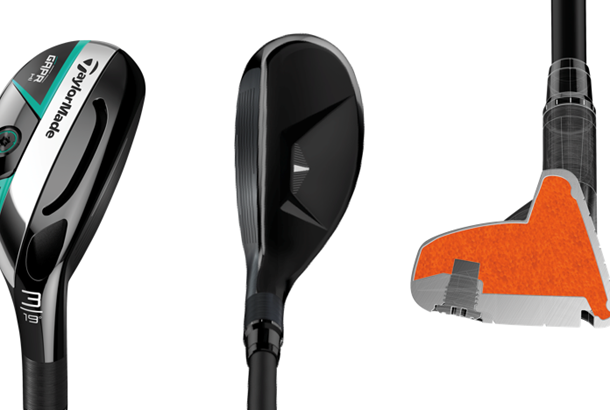 "More Tour players are adopting utility clubs to bridge the gap between their longest iron and shortest fairway wood," said Tomo Bystedt, Senior Director Product Creation, Metalwoods. "GAPR provides innovative optionsfor players to confidently hit a specific yardage with a specific trajectory. With SpeedFoam, LoftSleeve™and Speed Pocket™technologies, golfers have the performance and adjustability to fine-tune their long game for the right combination of distance, versatility and precision." Designed primarily for players with faster ballspeeds, GAPR LO is the smallest of the three models and features a low-forward CG for extreme distance with a mid-to-low trajectory. It's driving iron-type shape has a players profile that allows for excellent flighting and workability, and the mid-thin sole width delivers maximum performance and versatility for the stronger player. Similar to the GAPR MID, GAPR HI was engineered for the widest range of players. The largest of the three models, GAPR HI features an ultra-low/back CG for maximum distance and a high, penetrating trajectory. Where the HI differs from the other 2 models is its shaping, which features modern Rescue™shaping with a high-toe, peanut shaped clubhead. The dropped crown feature provides lower CG and improved alignment. Each GAPR comes equipped with a KBS Hybrid shaft in either an 80/X, 80/S, 70/R or 60/A profile (via custom) and a Golf Pride Tour Velvet 360 grip.